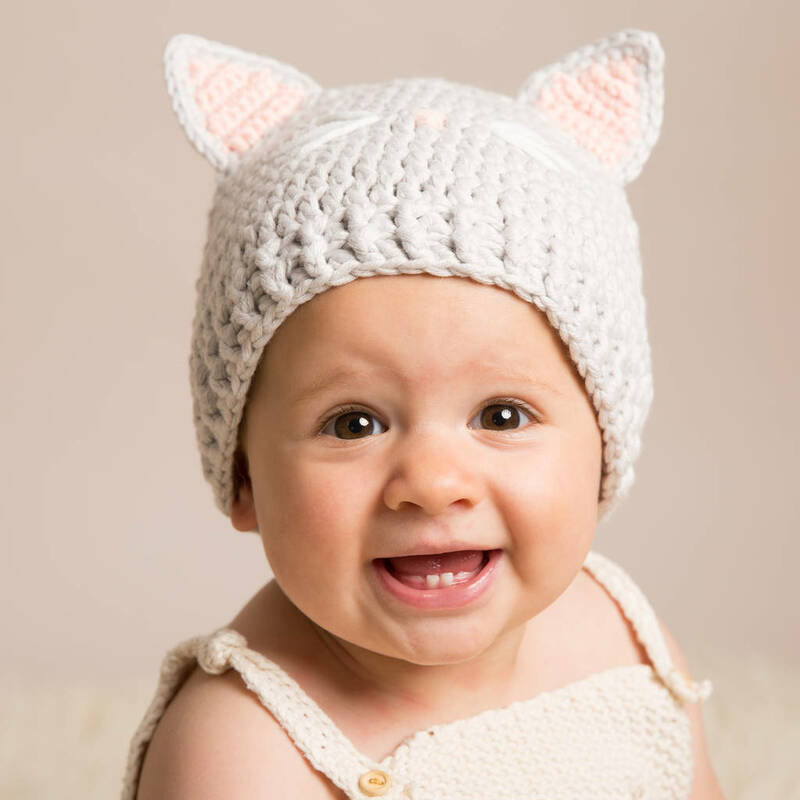 Hand crochet cat hats for the coolest little people who want to stand out from the crowd. They are handmade using soft cotton blend yarns, keeping little ones warm in the cold winter. Full of character, these hats are very comfortable to wear. 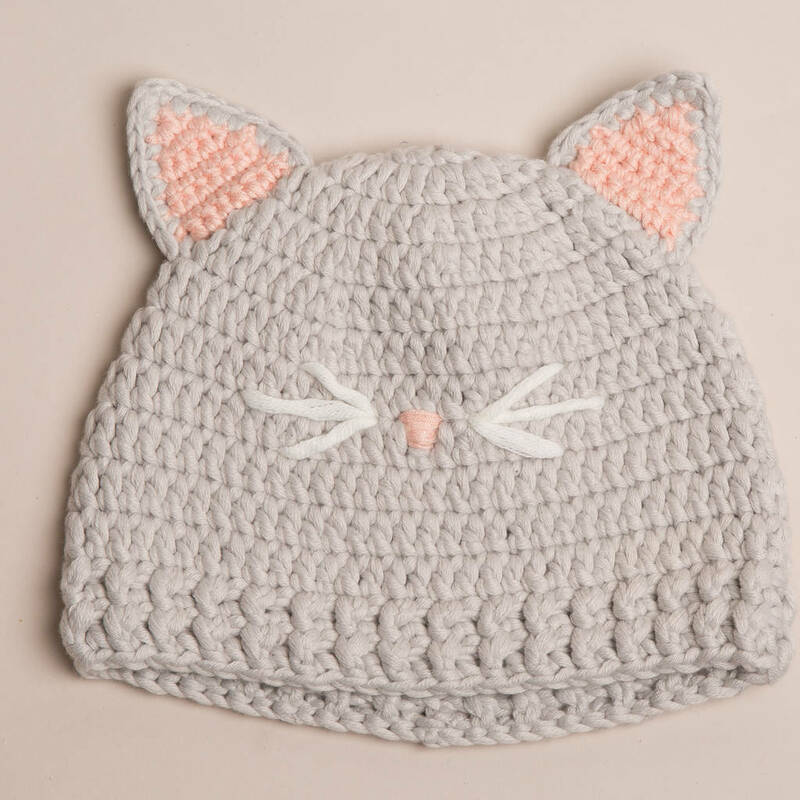 This cute hat has pink detail in the ears and a nose and whiskers motif to the front. This hat is an ideal birthday or Christmas gift for a baby, toddler or little child. It also makes a great photography prop for that everlasting memory.